The kicksled race begins with a joint start (800 m) at 12:00. The village streets of Kolkja are passed in a friendly race. Children and adults, men and women head off from a joint start. Individual prizes are given for the winners of the men’s, women’s and children’s categories. Everyone is welcome to the joint start with their own old or new kicksled! Team relay kicksled race (4 x 250 m) starts at 13:15. The start and finish point of the joint start and relay race is located by the Peipsimaa Visitor Centre. The womens’ choir "Bõlitsa" of Kolkja performs their routine. Rändur Rääbis makes an appearance. Participation fee until 4 February 2017 is 5€/adult and 2€/child. From 5 February 2017, the participation fee is 7€/adult and 4€/child. The participation fee includes a racing number and warm tea. Racers participating in the team relay race as well as the joint race do not have to pay double! The event is organised by the Peipsimaa Visitor Centre in cooperation with the Peipsiääre rural municipality. 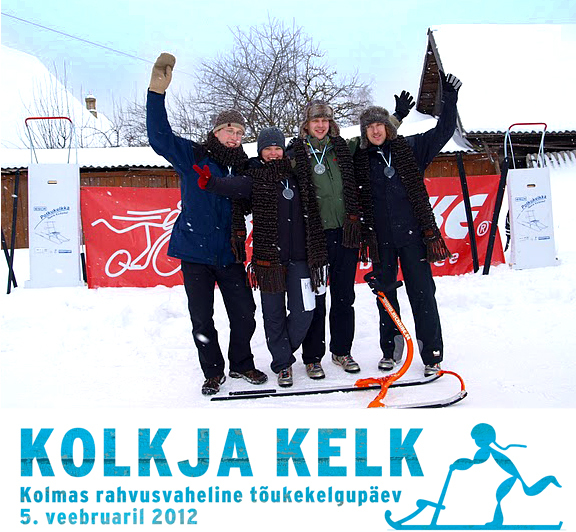 The organisation of the kicksled day is supported by the Gambling Tax Committee and the enterprises of Peipsimaa.